This article was published by Kyle Patrick (@SlipZtrEm) on February 5th, 2019 in the Gaming category. This being their latest "pro-consumer" move is laying it on a bit thick IMO. This move has nothing to do with that. It is simply a smart business move to expose their gaming network to a LOT more paying customers, and there is nothing at all wrong with that. Microsoft is a business, as are Sony, Nintendo, etc. I think this is a smart move by Microsoft, but I would ease up with the patting them on the back for it. Why's that? If this can get the cross-platform push onboard with more games/devs, than it's a good move for everyone. UKMikey and PzR Slim like this. Simple question really: is it anti-consumer? I don't see how mentioning that it's pro-consumer is the equivalent to patting on the back. It's just stating a fact — and yes, it's good for business too. There was a reason to cultivate the walled-off garden approach with online a decade ago, but it's not as necessary these days. Sony opening up Rocket League to true cross-platform play is also pro-consumer. but I would ease up with the patting them on the back for it. Where do you see any kind of back-patting? The comment is at the tail end of the article and that's after describing what the literal approach is: Microsoft using its strengths and influences to move Xbox Live onto as many platforms as they possibly can. Moreover, regardless of your interpretation if it benefits players, it's pro-consumer. UKMikey, ImaRobot and PzR Slim like this. I reckon a simple 'thanks for writing the article' would have sufficed! Microsoft and the Xbox team genuinely seem to be putting the gamers first in recent times. Whether that's because it's how they truly feel, their market position or some other reason, it's good for gamers. It's always this one.But it benefits us the consumers so nothing wrong with that,Sony did the same thing back when they fumbled the PS3. Does it mean I can play Forza on my PS4? I did read the article. But don't quite understand. Thanks for the info. perja55 and Skyline_R34 like this. The move would increase XBL’s potential userbase from 400 million devices to over 2 billion. Notably, PlayStation is absent in the description. Whether this is Microsoft’s choice — seeing Sony as its most direct competitor in the console space — or the Japanese giant’s reluctance to fully embrace the industry’s move to multi-platform is unclear. If it’s the latter, it may not last for long, as Sony has recently shown off a more open-walled approach to Rocket League. Straight from the article. So, that'll be a no. What exactly would this mean on, say, the Switch? Besides signing in to XBL with its ancillaries when you play Minecraft? I don't quite get it. Well, I would imagine that shared games would have a better chance of being cross-compatible? I don't want this! I don't like the idea of crossplay anyway and surely not in the hands of Microsoft. What exactly is the issue with cross-play? It gives the console fans no reason to trumpet out their exclusives as something to push units. Which is asinine. I simply don't like it. I prefer a service is running correct on one platform instead of being dépendent of multiple ones. For now that's what it appears to basically be, it's just an app that allows you to link your "profile" on different gaming platforms into others like XBL and have all the those non gaming elements like friends lists, achievements etc appear. 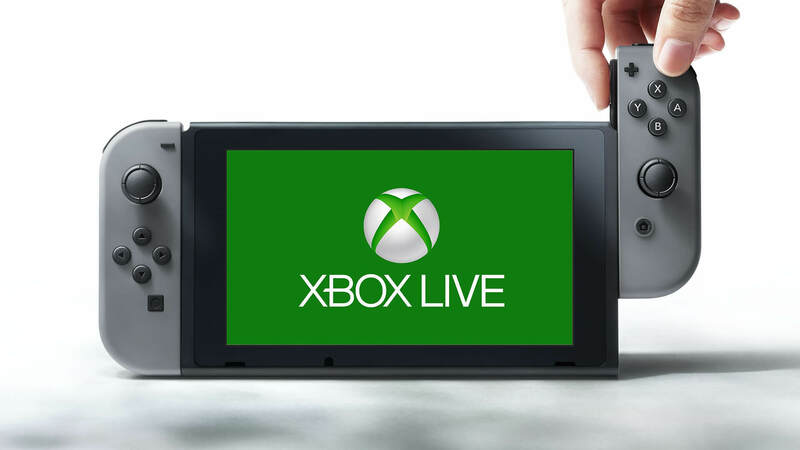 It's doesn't mean play Xbox games on Switch but it may one day mean cross platform multiplayer. So, no real reason for actually being against it? Yeah, that wasn't a reason though. You just basically said "I don't like it!" Which now that you've expanded your stance on Microsoft, it makes a bit less sense, to be honest. Especially considering that the way they offer their multiplayer service really isn't any different than any competitor. That was my first thought, didn’t realize Microsoft needed all sorts of people to come in and defend them from reality. This looks pretty pro consumer to me. The more choices you have the better, and since I play some Xbox games it’s good to have my profile on multiple devices without much hassle. I like the idea even if it’s only for Minecraft at this current moment but it’s a good step in the right direction in the console space. Being tied to one single platform forever is not a issue for me, but I think people should actually accept this and cross play to where if you own different systems you can still play with friends who own different systems. Quite good on Microsoft’s end here and good for gamers all around. I like the Forza and Ori franchises but I simply don't want any of those live services on my PS. That's not how this works, at least not exactly anyway. Core Xbox Live services will remain dependent on Microsoft's platform first and foremost. Think of it as filtering multiple other would-be services through one that's more or less all encompassing. It removes headaches and it keeps your user information/data all in one place. And we need to stop with this "Microsoft is evil, but Sony is my god!" nonsense. That's not explicitly directed toward you in any way, but I'm seeing it more and more and it makes zero sense. Sony (or Microsoft) aren't going to reward people for their undying loyalty, or swearing off the competition in their name. You're hurting no one but yourself in the long run, hell, you're even hurting one or both because they're unable to obtain metrics for why any one developer, publisher or competing company does something better than them. CTstryk, UKMikey, Northstar and 2 others like this. @ImaRobot @Robin -- Thinking about it a bit more, I suppose this could be a way for some multiplatform games to not only offer cross-play, but voice chat and (XBL) friends list messaging on the Switch without a silly mobile app to gatekeep it to protect the children. Robin and ImaRobot like this. You're probably right but I want to at least have a choice. Yes, I have préférence for Sony and appreciate certain franchises of Microsoft but it is like with football or F1. Fans are fans. Leave room for each eco platform but surely don't mix them . I can't recall too many games the consoles share in common(I'm also new to the Switch, so that's probably why), but this will likely play out better in that regard as time goes on, rather than at the current point we're at. A choice for what reason though? Only thing I can think of is something along the reasoning of "Get that stinky Xbox away from my beautiful Playstation!" Which makes it just look even worse, to be honest. Plus, it seems you're going about it the wrong way. Cross-play is not likely to bring console exclusives over to another brand. It'll be for games that are already multi-platform. Windows Xbox Live on the new Mad Box.